Banus | WHY DO WE LOVE CHOCOLATE? 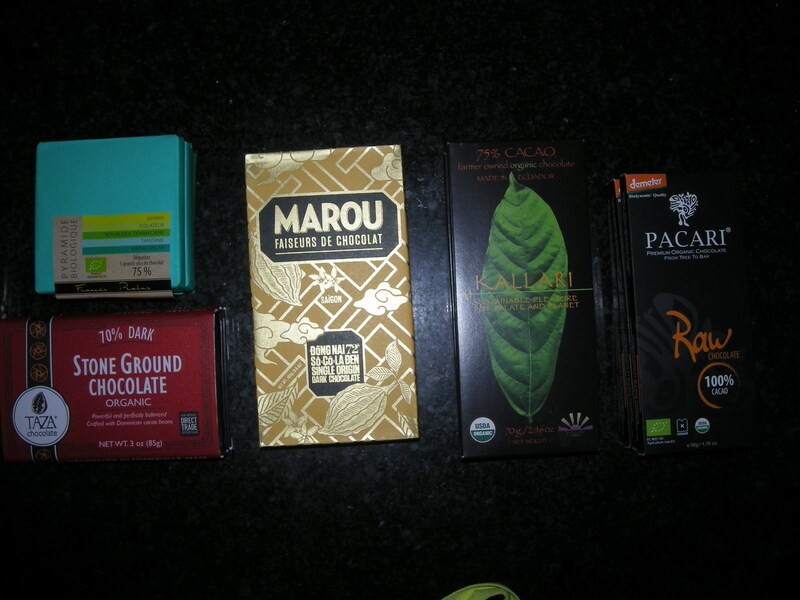 Laatste chocolade tasting deze week, voor Bekaert Zwevegem met internationaal gezelschap zoals steeds, waarvoor mijn dank. Final chocolate tasting this week, Bekaert Zwevegem with international audience as always, thanks. White Chocolate, couverture, made from 100% fine flavor cocoa beans of South American Origin. Total non-deoderized cocoa butter content is 34% and milk content is 18%. Handcrafted in small batches from single origin Dominican cacao, this bar strikes the perfect balance of bitter with sweet. Bright red-berry notes blend with a hint of biodynamic vanilla, and stone refining leaves a subtle, intriguing texture in the bar. Guatemala has been producing cacao for a very long time but was always sold to foreign chocolate makers. It’s great things change worldwide and more and more passionate chocolate lovers start producing chocolate from their ‘own’ beans. Until a couple of years ago, most cacao farmers didn’t even know what was made of their cacao beans. The name Danta comes from ‘La Danta’, the 8th largest Pyramid in the world in El Mirador, Guatemala, and a archeological excavation. With unique lite reddish color and prominent fruity flavors like red berries and citrus Madagascar Cacao truly has no identity crises. This is a milder chocolate and often a good way for milk chocolate lovers to ease into dark chocolate. A family farm produces this certified organic Hispaniola cocoa bean. For us, this is chocolate from our childhood. It’s malty and rich, with nice caramel notes. Grenada Chocolate “SALTY-LICIOUS” 71% Cacao Organic Varietal Chocolate Bars with Caribbean Sea Salt. Organic Bittersweet Chocolate Bar with Caribbean Sea Salt. Made with pure cocoa butter and cane sugar. Its taste is clean without saturating the palate. The aroma is floral with lactic hints from the best milk.Banus was born of the experience of two young entrepreneurs who are passionate about the world of cocoa and chocolate. 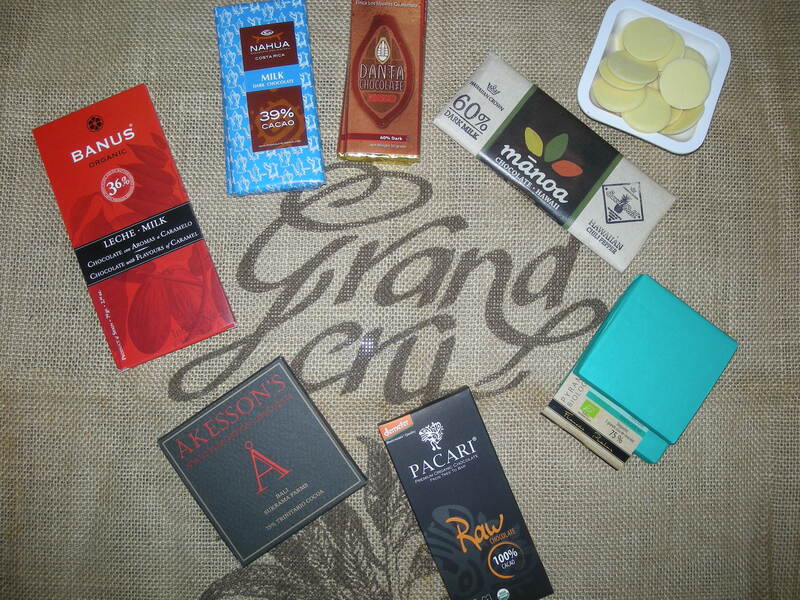 We make our chocolates from a selection of the best organic cocoa plantations. They are the result of research on fermentation of the beans.Our production process is studied with passion and careful craftsmanship. 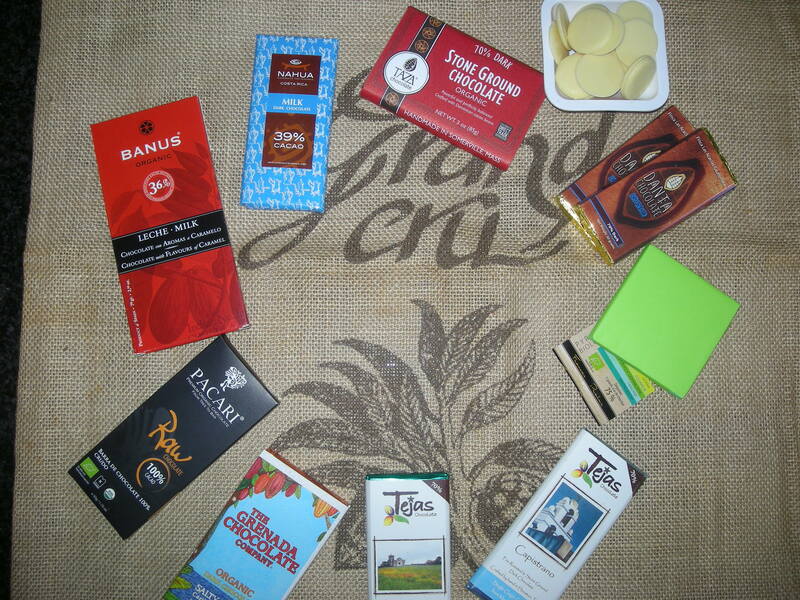 Cocoa, pure cocoa butter and sugar cane are the essential ingredients to create the fine chocolate with aroma and flavor that you will find in our brand Banus Organic. Didn’t know Spain made chocolate? Do you really think the conquistadors were looking for gold? Well they found it, black gold – delicious cocoa. Blanxart has the secret of creating a world class chocolate. they select their own cocoa beans from Ecuador, Brazil, Cameroon, The Ivory Coast and Guinea, and then roast them to ensure the right blend, aroma and texture. After roasting and refining the beans, fresh all natural ingredients are blended in to create one of the best quality chocolates in the world. Their rustic, award-winning packaging reflects the natural, hand-made process. Deze 50% dark chocolate & milk is niet zo zoet als de meeste andere melkchocolades. Je proeft nog heel goed de cacao en de room in de chocolade. 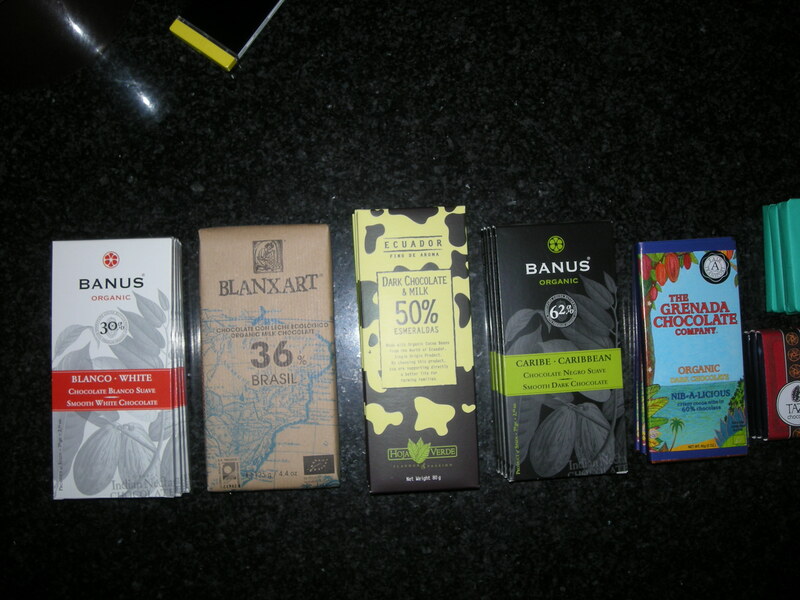 De chocolade is gemaakt van 100% biologisch gecertificeerdenacional cacaobonen. De vermaarde verfijnde bonen uit Ecuador. Minder dan 30% van de totale cacao productie is aromatisch en daarvan hebben de Nacional cacaobonen uit Ecuador het hoogste percentage aroma. Op de plantages wordt er rekening gehouden met de instandhouding van de natuurlijke hulpbronnen en het milieu. De nacional cacaobomen groeien tussen/onder de tropische planten en bomen, waardoor er een natuurlijk evenwicht is. Dit is beter voor zowel de boer als het milieu op de lange termijn. 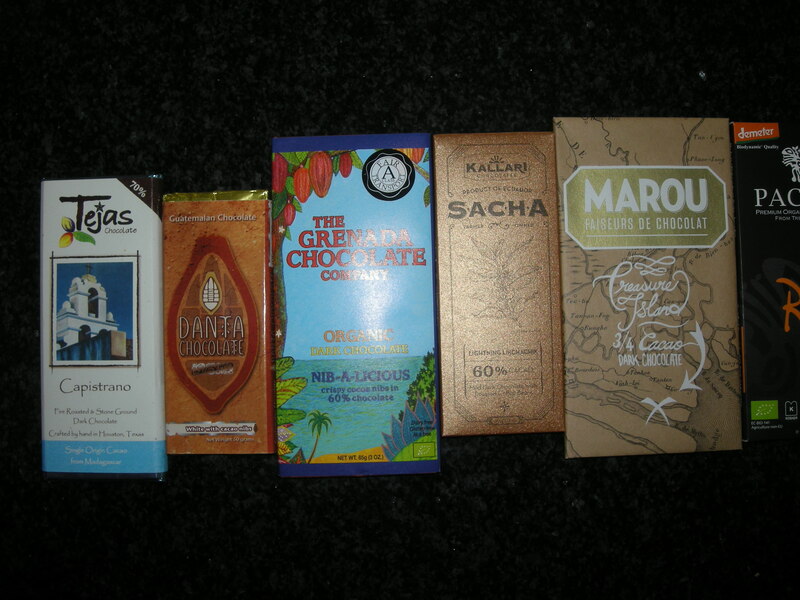 This chocolate is made from selected cocoa from the Caribbean Islands. Its flavor is typical of Trinitario cocoa, with mild, aromatic and persistent hints. 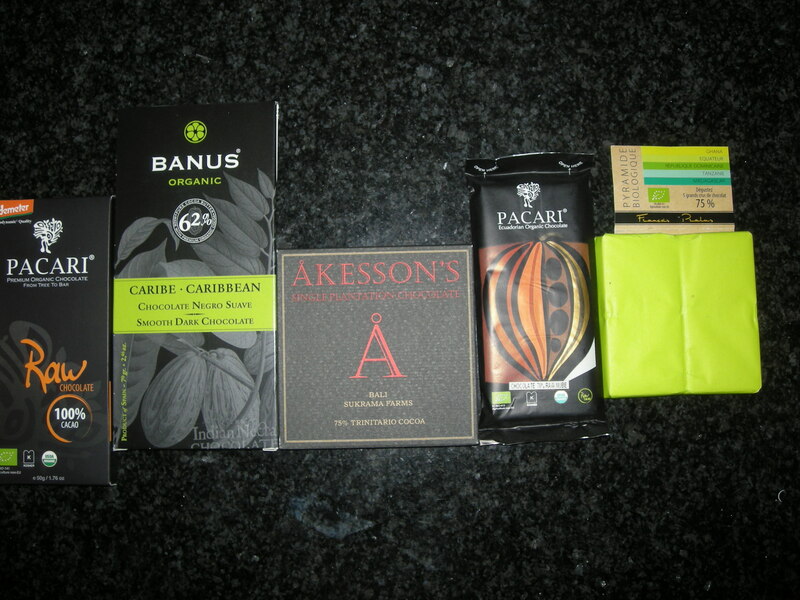 This bar does have a complex flavour in that the naturally acidic of the Grenada chocolate is reduced a great deal with the use of the sugar and cocoa butter but then taken in a slightly different direction by the cocoa nibs that are included into the mix and can be visibly seen as you unwrap the bar from its foil. In terms of flavour notes I found it to be mainly banana and mangoes which was a delight and seemed to produce a Caribbean punch like experience. Furthermore, this bar is suitable for vegans and is gluten free. Francois Pralus is een ware meester in het maken van chocolade. Hij is een van de weinigen in Frankrijk die nog zelf zijn eigen chocolade maakt. Voor de cacao reist hij de hele wereld rond op zoek naar de allerbeste kwaliteit en de beste plantages, met name uit Zuid-Amerika en Indonesië. Inmiddels heeft hij ook een eigen plantage in Madagaskar. Tanzania: spicy, woody, floral, long on the finish. Woody and spicy flavours are most notable in our Tanzania bar. Forastero-type trees growing in volcanic soil along with a slow roasting of the beans result in a chocolate with a range of flavour profile. It begins like an evocative tale from old Indochina with two French émigrés crossing paths for the first time while trekking through a Vietnamese jungle. But that’s how the co-founders of Marou — Faiseurs de Chocolat first met. This chocolate Dong Nai 72% is made with cocoa that is produced at MAROU’s own cacao fermentation and drying station near Cat Tien Natural Park in Dong Nai province, making it a very rare ‘pod-to-bar’ chocolate. This chocolate is mild with surprising notes of Spice. 9/ Kallari 75% Cacao – Hints of passion fruit and cloves. Kallari is committed to community viability and economic growth, through knowledge sharing, the preservation of Kichwa cultural traditions and natural resource conservation. Kallari (Kahl-ya-di) is the Kichwa verb that means “to begin” or “to commence”. Kallari also refers to the beginning times, or how our ancestors used to live. Our effort is a new beginning to empower future generations, meanwhile remembering the traditions of our Nation. The cocoa bean used for our Capistrano Bar comes from Madagascar. Bright red berry and citrus fruit flavor notes come on fast while a mild chocolate flavor lingers after. The color of this chocolate is a red clay brick making this one of the more beautiful chocolates in the world. This chocolate pairs fantastic with Pinot Noir or medium bodied red wines. 4/ Kallari “Sacha”: Organic Dark 60% cacao with Roasted Coffee Beans. Kallari “Sacha” Ecuador Chocolate Bars. Kallari’s artisanal line of chocolates, “Sacha” bars are crafted from a more rustic chocolate made from organic cacao beans. Roasted coffee beans in medium dark chocolate. Likchaachik (“wide-awake” in the Kichwa language): The energy one feels from coffee. Marou Chocolate hand selected the finest cacao beans grown on small family-owned farms on the remote island of Tan Phu Dong (Đảo Kho Báu), stretching from the two northernmost arms of the Mekong Delta all the way into the sea. This is a truly the rarest of rare chocolate. The taste likes molasses, prune and notes of berry. This chocolate is made from selected cocoabeans from the Caribbean Islands. Its flavor its typical of Trinitario cocoa, Mild aromatic and persistent hints. The chocolate’s aroma contained earth, roast, spice, and wood scents. The taste included spice, roast, and fruit flavors. The roast tasted of coffee and the fruit included mango. I also noticed sweetness and some acidity. The final aftertaste was somewhat bitter and slightly acidic. This bar is fine crafted individually and will only be available for a limited time. Nube means “cloud” in English, and is special because all cacao in the Nube bar is sourced from a single source in Ecuador, making this bar truly one of a kind. Don’t miss the chance to try this limited edition bar before it’s too late! This Madagascan chocolate bar is made from organic Criollo cocoa, giving it a fresh, minty and fruity flavour and lightly acidic taste.